Merry Christmas from Drink of the Week! Now, the way we figure it, your holiday is likely breaking down in one of two ways. Either you’re being besieged with relatives — or are yourself a besieging relative — or you’re one of those folks who, for whatever reason, are finding yourself with not much more than a movie and maybe the proverbial Chinese dinner to keep you company this year. Now, to be clear, punches of all types, including milk punch, have quite a long history and I’m only starting to learn about them myself. There’s a cold version of this drink and we might well revisit the topic then. In the meantime, it’s Christmas and, most likely, you’re either trying to escape from numerous family duties while reading this, or perhaps distracting yourself in various ways. So, let’s keep it about as simple as we can. Heat the milk, preferably in a pan. For whatever reason, microwaved milk seems to lack a certain comforting consistency. While you’re heating the milk, combine the booze and sugar in a coffee cup. Pour in the hot milk and stir. Top with some ground nutmeg and sip cautiously. Whatever your situation, be grateful if you have a roof over your head and have the wherewithal to supply yourself with delicious alcoholic concoctions. Maybe think about actually doing something nice for people who don’t. What with the holidays and all, it’s been a pretty crazy week here at DOTW Manor. On the one hand, that made Milk Punch just the right beverage…on the other hand, my general high level of busyness limited my experimentation to a certain degree. Nevertheless, I enjoyed my drink using both Martell and Reynal brandy combined with Whaler’s Rum, a very inexpensive and very sweet dark rum. Using much pricier (and generally really delicious) Papa’s Pilar dark rum wasn’t quite as comforting somehow. Bacardi 8 simply wasn’t dark enough. Indeed, I really enjoyed the drink when I discarded complexity entirely and used two ounces of the Whaler’s with no brandy at all. So, make it entirely with a very sweet dark rum, or go whole hog sophisticate and use only cognac. It’s your bedtime. Hope the day that comes before it turns out to be a more or less merry one. I have to be honest with you — I don’t really feel like I’ve nailed this week’s drink, not quite. Yes, it’s refreshing and fairly well balanced, it’s base spirit is kind of spectacular, easily one of the best products I’ve ever been lucky enough to get for free. However, the final flavor profile just didn’t wow me as much as you’d expect, especially given how good the main ingredient really is and, really, how sound this recipe — a variation of a drink that’s been around for awhile — really seemed on paper. At the same time, I have a confession to make, but we’ll get to that in the post-recipe section of this post. Muddle the mint leaves lightly in a cocktail shaker. Add the rum, lime juice, simple syrup, bitters (very important or this drink will come out way too sweet…I know because I forgot them on my first attempt at this drink), lots of ice, and shake vigorously. Today’s cocktail appears to be a variation of a drink reportedly invented by famed bartender Audrey Saunders, which features a premium rum from a far better known brand and is simply known as The Old Cuban. As mentioned above, the base spirit in today’s drink is the truly extraordinary Papa Pilar’s Dark Rum, which is dynamite stuff. This very flavorful expression, which has strong hints of vanilla and a lot of molasses to it, makes a truly fantastic Old Fashioned. It’s got so much natural flavor and sweetness that you can make that drink with just 1/2 a teaspoon of raw sugar. 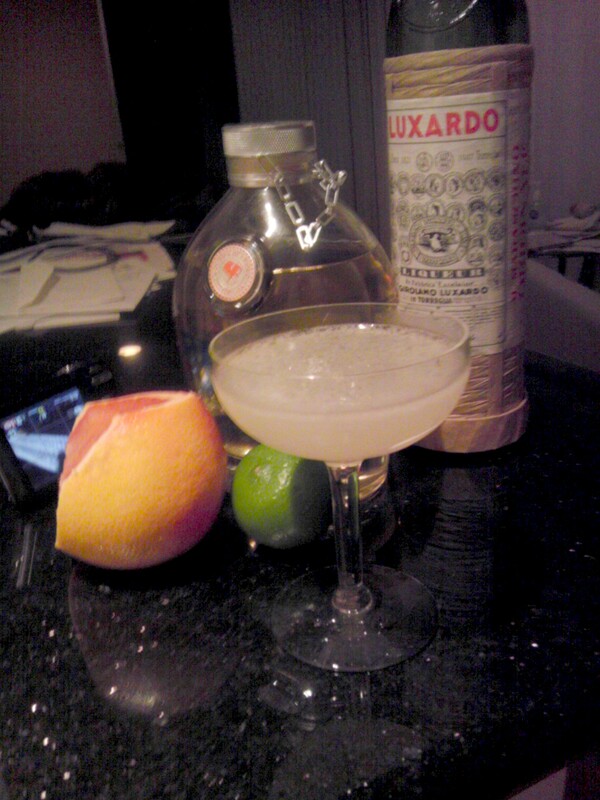 Nevertheless, I chose to make the Pilar Old Cuban instead. 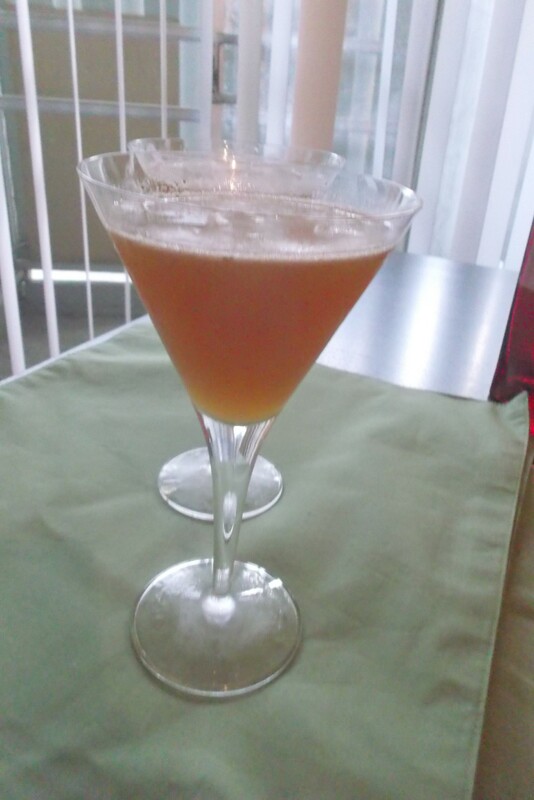 If I really did make a mistake on this version that kept it out of the cocktail stratosphere, I’d hazard a guess that it was — and here’s my confession — my use of a pretty darn cheap champagne to finish off the drink. Yes, I ignored the obvious disapproval of a local liquor purveyor who tried to steer me towards a $12.00 bottle of bubbly. I simply wasn’t in the mood to spend that kind of a money on an ingredient that wasn’t even really the star of the show and it’s not like I’d get to use the unused champagne on future cocktails. So, I went with a $5.00 brand that you may well have consumed at a not-too-upscale champagne brunch. Maybe that’s what did it, or rather, didn’t quite do it. So, it’s possible I missed the point here. Try this drink with a really good brand of champagne, especially if you’re going to be opening a bottle of the stuff anyway. You can experiment with a little less simple syrup, or try it with superfine sugar instead, maybe just a tablespoon full or slightly more. Or, you could just listen to the beautiful playing piano playing of the later Mr. Gonzalez, which makes everything perfect.